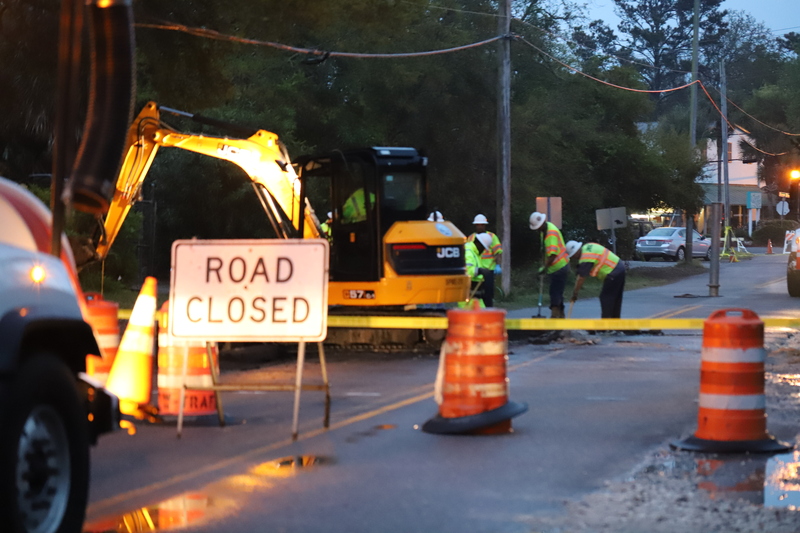 In order to perform emergency sewer force main repairs in the area, Arnold Road will be closed to thru traffic throughout Saturday evening, April 6, and early Sunday morning, April 7. Homeowner access will be maintained but all other traffic should be prepared to take another route. A 10 inch ductile iron force main sustained materials failure due to age. An amount of raw sewage, the volume of which is unknown at the moment, reached the storm drainage system. 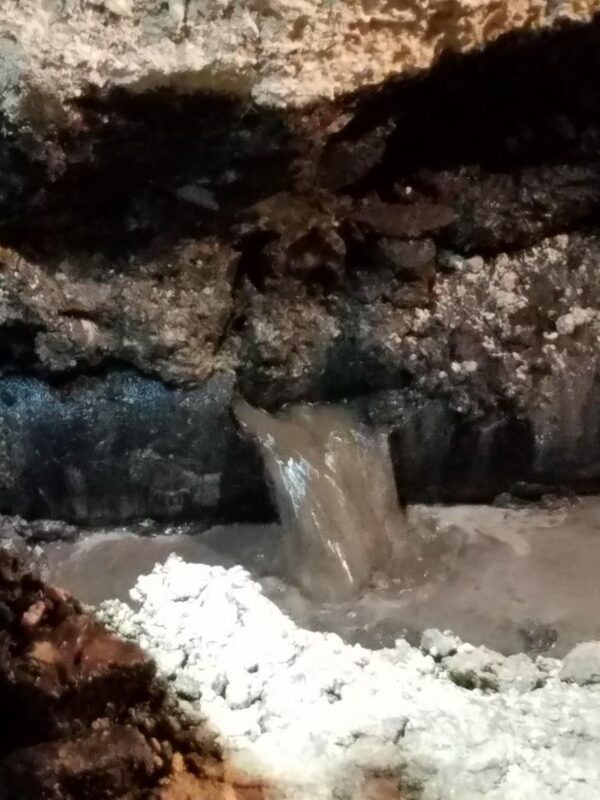 This sanitary sewer overflow will require notification to the Georgia Environmental Protection Division and the report of the results of soil testing in the area will be provided to the public within 24 hours, posted to the JWSC website and published in the local paper of record. 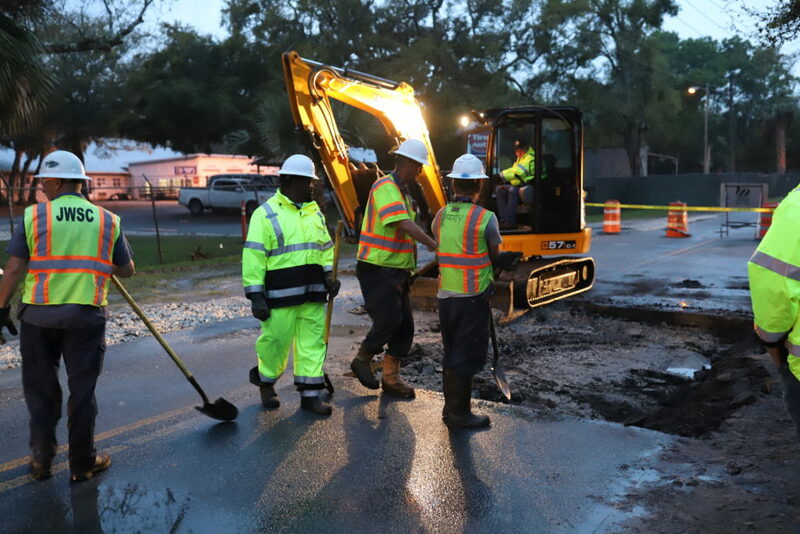 At this time, bypass pumping is being utilized to maintain flow in the sewer system and no service outage is anticipated. For more information on the repair, please contact Jay Sellers at 912.261.7123 or Charita Emory at 261.7151. The BGJWSC apologizes in advance for the inconvenience. This entry was posted in Road Closure on April 6, 2019 by Jay Sellers.